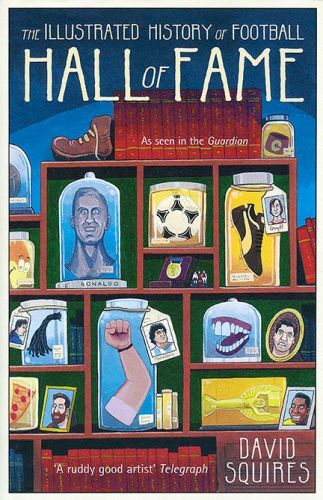 In The Illustrated History of Football: Hall of Fame, cartoonist David Squires celebrates those who straddle the game like giants; the talented souls who were juggling tennis balls in the streets before they could talk. Squires turns his comic eye to the mavericks, pioneers and anti-heroes. From Pelé to Maradona to Sócrates, you will be taken on an unforgettable journey through the good, the bad and the Hagi. Hardback, with a cover price of £14.99, WSC readers can save £1, or £2 if they're a subscriber. "David is unparalleled in his ability to highlight how ridiculous modern football can often be with his unique brand of caustic satire"